We’ll help your property management team with painting, staining and floor coating services. 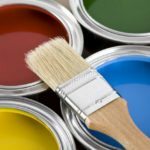 If you oversee commercial property management for one or several businesses in the Cary, North Carolina area, there is one service that you likely seek out on a regular basis – painting. Here at Prep-Rite Painting, we have more than two decades of experience in this industry. We are committed to making you look good for having chosen us for interior or exterior painting. We will furnish the equipment and materials needed, unless otherwise specified. Because we take meticulous care with prepping surfaces before painting, hence our name, we can provide you with a full two-year warranty that guarantees you that the work will be free from defect caused by us or the materials we furnished. Interior prepping includes repairing any holes or other issues in the drywall or other surfaces. We don’t just paint over problems, we fix them first. Exterior painting is always prefaced with pressure washing, which is included. While you might think that this higher level of preparation would mean your commercial property management budget will take a big hit, the reality is our prices are competitive. It makes sense to get more for your money by calling us for your interior and exterior painting needs. We have experience helping commercial property management companies with properties such as apartment complexes, hotels and motels, offices, retail stores, and more. We use only the most environmentally friendly, top of the line products, so your clients will be impressed by the results. If you are a property owner looking for skilled painters to work with your commercial property management team, don’t hesitate to recommend us. In addition to painting, we also do floor coating and staining, so give us a call today for a free estimate for one project or ongoing property maintenance. At Prep-Rite Painting, we offer painting services for commercial property management companies in Apex, Cary, Holly Springs, Fuquay Varina, Chapel Hill, and Raleigh North Carolina.